Founded in 2001, Suntech is the world’s largest producer of silicon solar modules. Originally set up by leading solar scientist Dr. Zhengrong Shi, Suntech now has offices in 13 countries, including regional headquarters in San Francisco, California, Switzerland, and China. They are also listed on the New York Stock Exchange. Suntech solar modules are installed in over 80 countries, with customers types spanning from residential, to commercial, agricultural and utility scale. The global company offers clean power for every application and market, from off-grid systems, to homes, to the world’s largest solar power plants. 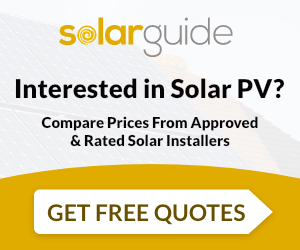 Its extensive range of products include photovoltaic panels, polycrystalline modules, as well as large format modules for industrial installations. As a leading manufacturer, Suntech has also designed Pluto Cell Technology. The breakthrough technology involves a unique texturing process that improves sunlight absorption, even in conditions of low and indirect light. Pluto Cells are designed to deliver a 10-15 per cent performance advantage using the same materials, wafers, and module line equipment as a standard cell. Suntech is a proactive supporter of numerous environmental awareness initiatives, and works with numerous organisations to advance environmental stewardship across the world. Suntech’s manufacturing process is certified with ISO 14001 Environmental Management Standards. And in 2008, Suntech joined The Climate Group and Copenhagen Climate Council to collaborate with some of the world’s brightest environmental and business minds to develop practical solutions for the reduction of greenhouse gas emissions. Suntech solar panels are provided in the UK by Solarcentury, the country’s largest solar energy company.